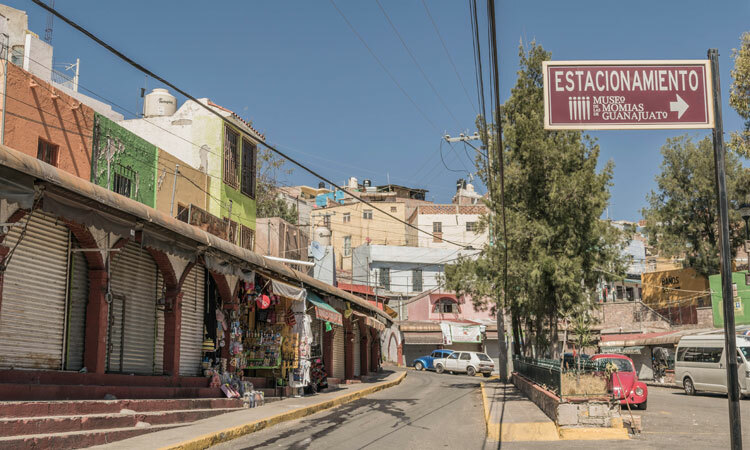 As you walk around the streets of Guanajuato, you get to live a real experience thanks to the mining industry since its architecture is something worth admiring, regardless of how the city became a gallery where countless artists and artisans captured their work turning it into a prized treasure. As a result of its beauty and historical tradition, the city was declared Humanity Cultural Heritage by UNESCO. Guanajuato is a natural scenario of artistic expressions, visit museums like: Iconographic Museum of Quijote, Casa de Diego Rivera, Olga Costa-Jose Chavez Morado Art Museum, Museum of the Town, Alhóndiga de Granaditas and Gene Byron, show important collections. The worldwide famous Internacional Cervantino Festival is a great event that has been carried out for more than thirty years, with the participation of 36 countries that represent world class artistic expressions in opera, theatre, dance, music and exhibitions, in addition to mimes, minstrels and artists that can be seen over the streets. People say that strange things happen in this house and you’ll be able to see it yourself. You’ll learn the stories that the owners of the house have to tell through a tour around this eccentric museum, a favorite of those who enjoy paranormal experiences. With all the stories that Guanajuato has to tell it’s no surprise that there’s a museum dedicated to tell them. In the Casa de las Leyendas you’ll get to know the most popular legends of Guanajuato, some of them will give you the chills while others will amaze you. Undoubtedly, this place gives you the chance of experiencing a little of the Guanajuato’s mystical essence. It is a big landmark at the heart of the city since its foundation in 1903. 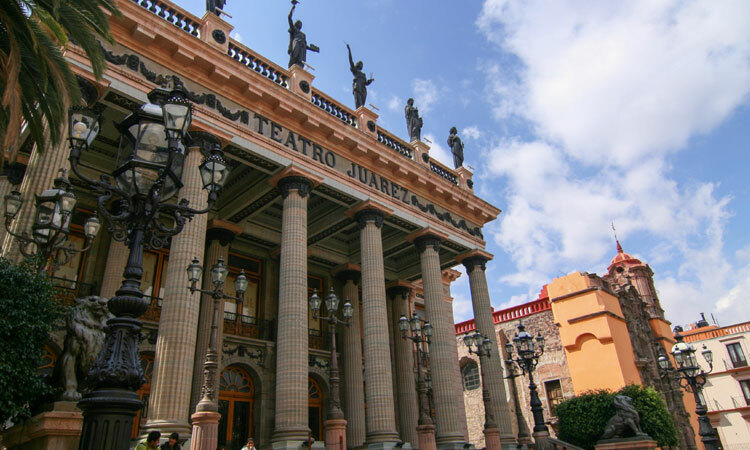 Boasting magnificent neoclassic and eclectic architecture, the Juarez Theatre is the forum of most of the artistic activities, among them the Cervantino International Festival every October. 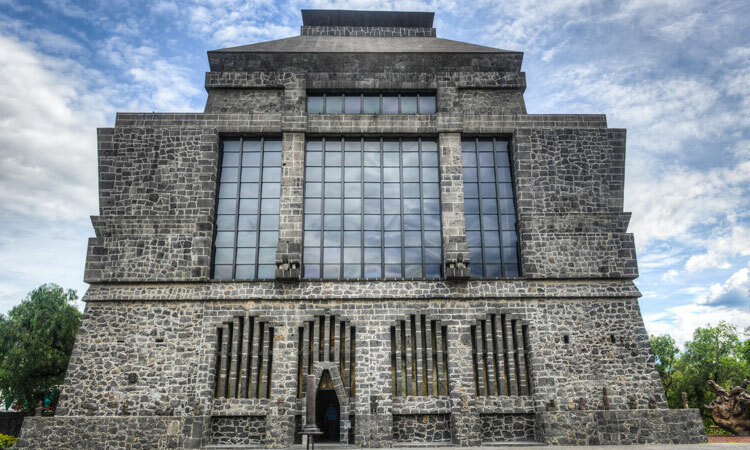 The house where Mexican artists Diego Rivera was born shows today a collection of 175 of his drawings and paintings. Along with his work, the place also exhibits collections of other popular artists. A historical fortress, scenery of the heroic acts of the Pipila. 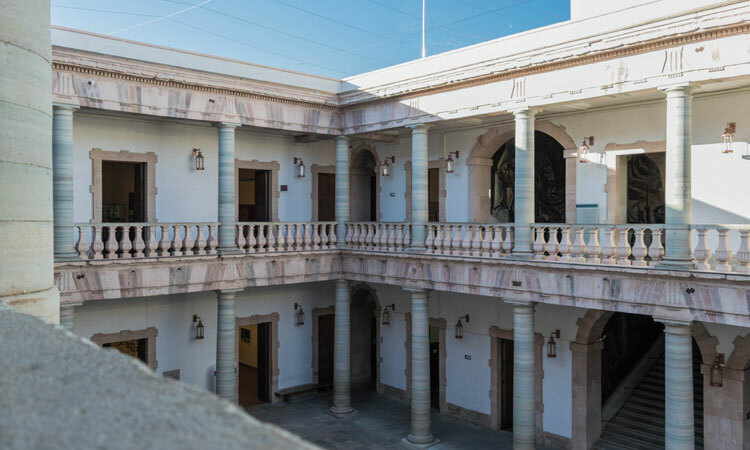 Today has the Regional Museum, with a collection of Mesoamerican art, pottery and halls dedicated to the culture of Guanajuato through its history. 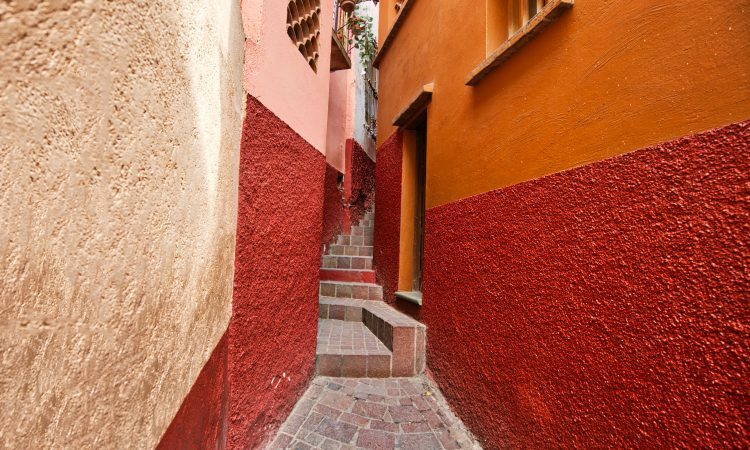 One of the most typical places of the city, a favorite of couples that, following the tradition, have to kiss in the stairs, remembering the romantic legend that gave fame and named this alley of Guanajuato.